President Barack Obama pressured Congressional Republicans to take action to avert the spending cuts scheduled to take effect next week as a result of the sequester this morning, telling the nation in a press conference that the cuts are “not an abstraction.””People will lose their jobs. The unemployment rate might tick up again,” Obama said, appearing in front of a slew of emergency responders. 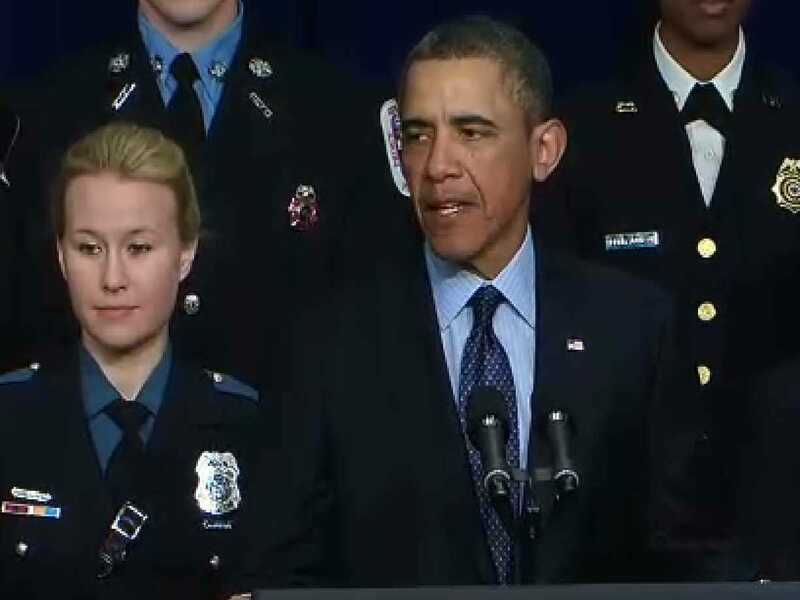 “Are you willing to see a bunch of emergency responders lose their jobs because you want to protect some special interest tax loophole?” Obama said. “If Congress allows this meat-cleaver approach to take place,” Obama said, it will affect military readiness and shrink crucial services. He warned that thousands of teachers and other educators will be laid off. It will affect the FBI and other emergency responders. He said the cuts will challenge the U.S.’s ability to challenge threats to different parts of the world. House Speaker John Boehner’s responded to Obama’s press conference by saying that the President hasn’t offered a credible solution to avert the sequester. “We’ve got a few days — Congress can do the right thing,” he said. Obama’s statement comes upon his return from a weekend trip to Florida and while Congress is in recess until Feb. 25. Congressional Republicans have pushed back at Obama’s criticism by saying they have twice passed legislation to replace the cuts. Senate Democrats released their own sequester-aversion plan last week that replaces 10 months of sequester cuts through an even mix of spending cuts and revenue increases, but it has yet to gain any serious traction.